Almost £2 million of tenant deposits have been transferred to SafeDeposits Scotland in the last six months as five letting agents took the decision to change their tenancy deposit provider. Umega Lettings and Murray & Currie transferred approximately £1.5m to SafeDeposits last summer. This month, another three private letting agents – Rockford Properties, Limehouse Ltd and Cox & Co – announced that they had switched a total of over £410k of their tenants’ deposits to the Glasgow-based company. SafeDeposits Scotland holds over £75m of tenancy deposits and is the largest of the three independent tenancy deposit schemes approved by the Scottish Government, with nearly 60% of the Scottish market by value. Victoria Nixon, client account manager for SafeDeposits Scotland, said: “We are pleased that more and more of Scotland’s leading letting agents are choosing to place their tenants’ deposits with us. It’s testament to our talented team and the level of customer service they provide that so many companies are moving to us. Rockford Properties is one of Dundee’s fastest growing agents. Its director, Georgia Bedding, explained her decision to move to SafeDeposits Scotland: “After placing a small number of deposits with SafeDeposits Scotland last year, we spoke to tenants about their experience and their feedback was unanimously positive. Fiona Child, manager at Limehouse Ltd, also praised the experience of switching, saying: “Using SafeDeposits Scotland provides peace of mind for us as agents, our landlords and also our tenants that the deposits are secure. Mike Erskine, national portfolio manager at Cox & Co, was prompted to switch to SafeDeposits Scotland after being unhappy with their existing tenancy deposit company. He said: “Due to failings by our existing tenancy deposit scheme the decision was made to move our portfolio’s deposit to SafeDeposits Scotland. 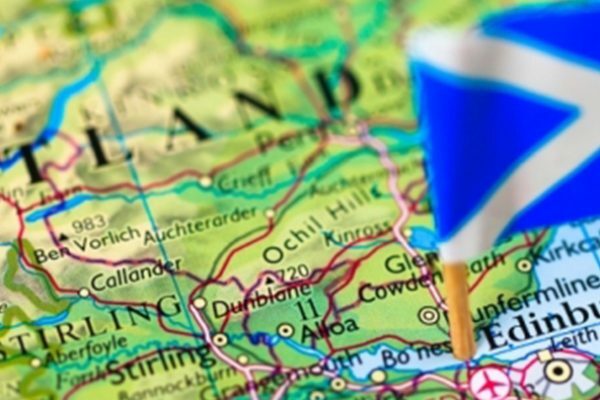 Following the no vote in last year’s independence referendum, the Scottish property market has been one of the first places investors are looking when seeking to add to their portfolio. Here are three of the main reasons the market is thriving. The years of uncertainty prior to the referendum prevented property in Scotland undergoing the sustained price inflation that occurred in the rest of the UK. In fact, areas of Scotland are significantly undervalued. To the investment community this means one thing – massive potential for capital growth. And evidence suggests, this growth curve is already underway. Over the past 12 months, the Office for National Statistics shows property values in Scotland have increased by 14.6% – higher than anywhere in the UK. London property only amassed growth of 11.2%. Like many areas of the UK, the Scottish private rented sector is undergoing a significant expansion. A mixture of tougher mortgage criteria and a growing preference for rental accommodation means that rental demand is at an all-time high and investors know that they can not only get an immediate return on investment, but that yields are set for long-term growth. Figures released in April revealed Scotland’s buy-to-let market recorded its fastest year-on-year increase in rental rates in five months with an annual growth of 1.6%. The buoyant Glasgow and Clyde rental market drove this impressive performance with a 5.0% yield increase over the past 12 months. As the supply of new housing remains restricted, investors and industry experts are recognising the market’s ability to continue yield growth. Area Lettings Director at Your Move Brian Moran said: “Scottish rents have peaked at a new apex, as lethargic supply of rental homes fails to match up to towering demand for homes to let. Student property is currently the investment asset of choice. More than £9 billion has been spent on the asset class over the past three years and Knight Frank has identified that it currently outperforms all other property investments. The Scottish segment of the property market is unique. Nowhere else in the UK can investors provide accommodation for students that do not have to pay tuition fees. Consequently, the domestic student market has much more disposable income. Furthermore, as most Scottish universities favour four-year degrees, the opportunity for repeat bookings and longer tenancies is much higher than elsewhere in Britain. Education has always remained a key piece of Scotland’s identity and now the country is home to many of the UK’s most prestigious universities. These attract a huge number of students. In Glasgow alone, there are 80,000 students looking for accommodation – indeed, the West End of the city was recently found to offer the UK’s highest student yields. Rockford’s Brand New Facebook Page! Rockford has a brand new Facebook Page where we will be keeping our followers up to date with all of our new and exciting properties as they become available in Dundee, Edinburgh, Perth and Stirling. All you have to do is click on the link below and hit the ‘Like’ button for all of our latest property news. Dundee house prices have shot up by another 5%. According to fresh figures from Registrars of Scotland, the average property price in Dundee has enjoyed a noticeable boost in recent months —increasing by over £6,000 to reach an average price tag of £127,300. At the start of 2014, the average city home came in at just over £121,000. That increase is dwarfed, however, by rocketing house prices in Angus. In the last twelve months, the average pricetag of a county home has risen by almost £15,000 — one of the biggest hikes in Scotland. Now, the typical Angus property comes in at £154,000. Yet as buyers begin to wade into Tayside’s increasingly costly housing market, analysts reckon they should brace themselves for properties of all shapes and sizes to be increasing substantially in price over the coming months. “There are very few areas where prices are struggling, and it’s unlikely they’ll start to do so,” explained Lynne Hill, manager of the Tayside Solicitors Property Centre. 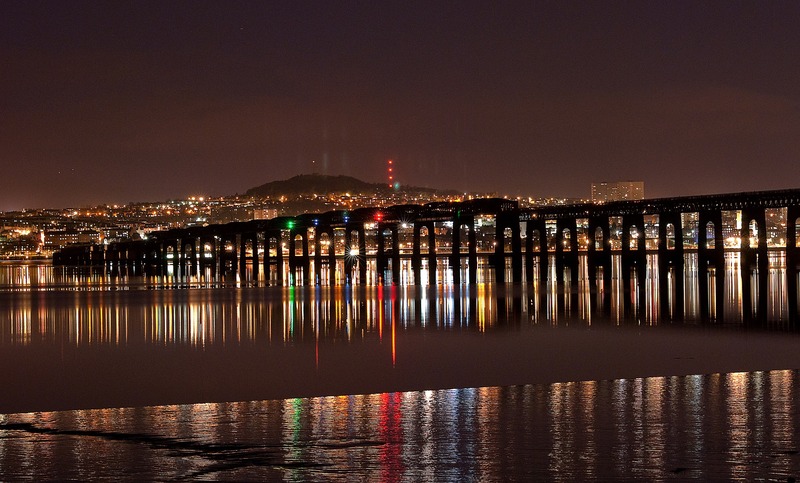 In Dundee, the number of homes being sold has increased by 45% since the start of 2014. In fact, a record 601 homes have traded hands since April alone. Of those purchases, 96 were detached homes — coming in at an average price tag of £221,000. Meanwhile, just over 100 semi-detached homes were sold in Angus in the last few months for an average of £139,080 apiece. The same number of terraced homes went for an average of £110,900. The biggest contributor toward sales, however, has been in flatted properties. Local estate agents have recorded a 57% rise in the number of flats being sold around the county — with 280 properties changing hands at an average cost of £97,300. Donald MacLellan, Chairman of Walker Fraser Steele Chartered Surveyors, says that increasing interest in properties like flats indicates the market is being driven by first-time buyers, and will only continue to swell. “This illustrates a stream of activity at the entry level of the market powering growth and consumer confidence,” he said.